What is Coinomia – A Scam Or A Legit Website For You? Today we take a closer look on the brand new coinomia.com site. What is Coinomia? A scam or a legit opportunity for you? Can you make a lot of money with it and will the website be around for a long time? These are some of the questions we will discouss. Ok, here we go! Coinomia is a brand new website that is in prelaunch mode until the 1 November – 2016. It is a crypto currency mining website where you can earn a passive income by investing in buying shares in the company. It opened up for pre – launch on 9/27 – 2016 and it has gained a massive amount of members in only 48 hours (18,000 members) and is expected by many to be one big success. It is about “cloud mining” and is a platform that allows you to mine bitcoins (and other crypto currencys) without having to download, own or maintain any hardware equipment. Coinomia rents the most effective and stable mining rig and let´s their members (you) take advantage of it´s great results (According to the Coinomia website). 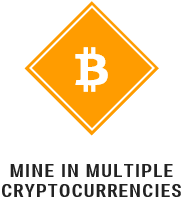 If you want to mine on your own Coinomia will also provide you with the necessary tools for that. If you ain´t got any money to invest into the program you can also make money as a free member at Coinomia. You can do that by simply reqruiting others to the website, for that you will be rewarded in different ways. Can You Make A Lot Of Money With Coinomia? Yes, you absolutely can! As with all investment opportunities the bigger investment the better returns of course. However, I DO NOT recommend that you invest more money than you can afford to lose into Coinomia (or any other investment opportunity) as you never know what will happen in the future. Nothing is granted in this life and that goes for online investment opportunities as well. On the other hand you never know until you try and you might loose out on something very profitable if you don´t try. You can see on their website an estimated calculation on returns on investments. So, is Coinomia a scam or not? Well, for now I am not Calling it a scam it is a crypto currency mining platform that allows anyone to invest into crypto currency. The thing that is most important here is how long the platform will be around (hopefully for years), the massive amount of members joining is a very good sign of course but the video below is NOT. Why You Should/Should Not Join Coinomia? It is not a wild guess to predict that crypto currencies will be a bigger and bigger part of our economical future, exactly like credit cards became when they first arrived so it might be good to start building up a crypto currency capital in this “unstable economical” time we live in. I cannot resist to think about that Norweigan guy who invested around $3 into bitcoins before anyone knew what it was, then when he looked at his investment when everybody started to talk about it it was worth millions of dollars! Instead I will go with Another website and Company that is transparent with EVERYTHING. If you are interested to read about that one you can click here. If you join or not is up to you but please remember, do NOT invest more than you can afford to loose into any investment opportunity as you never know what will happen tomorow. It can of course change to a lower rating but also to a higher one of course. For now I choose to stay on the safe side but will keep you updated for future (possible) changes. PLEASE DO NOT INVEST MORE MONEY THAN YOU CAN AFFORD TO LOOSE! If you do that then you will be fine. If you ain´t ready to start with crypto currencies there is other alternatives for you that uses “normal” money as an alternative (but also crypto currencies). The best one we have reviewed on this site (and also one I use myself) is Forex Paradise. It has been around for over 2 years now and offer very good returns on investments. I hope you found this review of Coinomia to be helpful and now you have a better understanding on what it is all about. If you have joined it please share your experience with us and also if you got any questions about this review I will be more than happy to answer them below.